Regardless of a pool owner’s reason for seeking swimming pool remodeling services, the remodeling itself should be done as fast as possible. Remodeling will keep the swimming pool out of commission. This is unfair to all the people who might want to take a dip. Therefore, a pool owner needs to find the best swimming pool remodeling service provider, but must do it as soon as possible. You can easily gauge this by calling them or contacting their customer service. If they have none, or if the one you talked to seems rude, then bump them off your shortlist. Being customer-centric is important. Pool remodeling can be more complex than the average person can understand. A pool service company they must be honest and patient enough to field questions and explain their pool remodeling ideas. We are already at an age where just about every business has feedback online. All of it coming from their past clients and customers. Make sure to approach reviews with a critical mind. Sometimes customers may be complaining over a non-issue, and sometimes a company may be posting fake glowing reviews. These are easy to spot if you take the time to read instead of just focusing on review scores, star ratings, and single sentence rants. However, pool remodeling is one thing where it is a bad idea to prioritize the cheapest possible option. 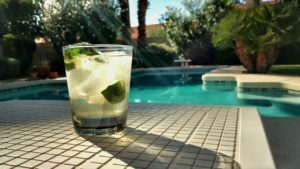 When a pool remodeling company offers you dirt-cheap prices, they are most likely able to do so because they use cheap materials and poorly-trained labor. That is definitely a bad thing because your swimming pool may end up looking ugly. Not to mention so poorly-made that it will break down and require pool equipment repair in just a short time. So make sure you don’t just choose the cheapest. You can save money by finding companies that are willing to work with you in customizing their service, allowing you to make the most out of a limited budget. Find affordable swimming pool remodeling services. Sometimes who they have worked for in the past will be a great indication of their capabilities as a service provider. Companies who have experience remodeling both residential and commercial swimming pools tend to be more expensive than random no-name companies, but they are more credible and have existing portfolio of work that can speak for their capabilities. So basically there is a risk vs. reward ratio between price and peace of mind. So if you have a swimming pool in need of repairs, do not waste time and start finding the right kind of pool remodeling company near you. The process is fairly involved, but if you put in the work towards finding the right company, it will be worth it as you will have a pool that is remodeled to perfection, and chances are you will also be able to do it at more affordable prices.